"Troubadour: Two Faces of the Classical Guitar"
Enjoy some mead while listening to Beer Music! Join Black Marigold for our first complete performance of all 19 Beers! Fri. August 26 | 7:30pm - "Beer Music" WORLD PREMIERE EVENT! Join Black Marigold for the world premiere of our beer-inspired commission by Brian DuFord! 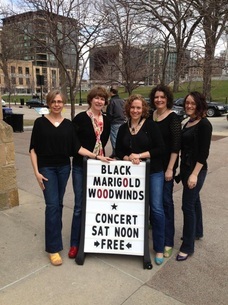 Sit back with a pint of Parched Eagle's "Black Marigold" beer and enjoy a musical tour of Madison craft beers! Visit Black Marigold Events for full details! ​Read more and buy tickets here! During this energy-filled, highly motivating camp, students of all ability and age levels will be challenged and inspired by our accomplished double reed staff. Visit the camp website​ for details. 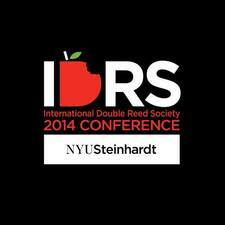 Tuesday 6/28, 9am: Presentation of Easy Breathing: Using Alexander Technique Principles to Find Freedom in the Breath at the annual IDRS conference. Visit the conference website for more info. 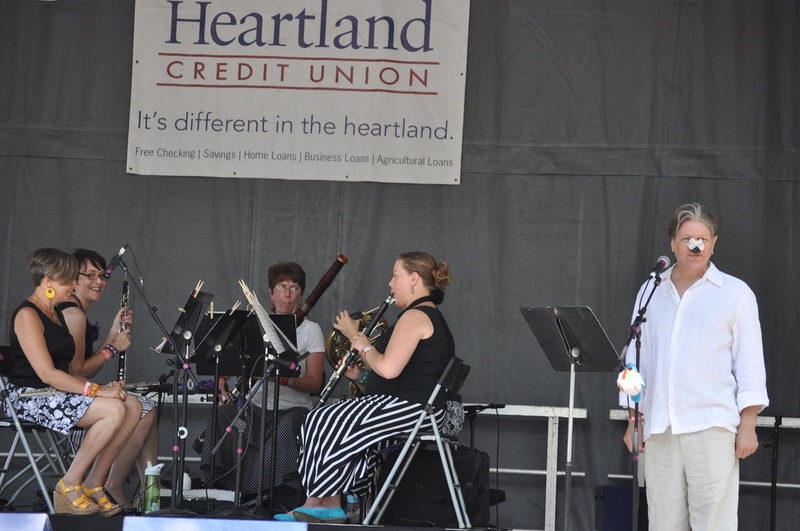 Tune in to WPR's The Midday with Norman Gilliland to hear Black Marigold perform the music of Brian DuFord and talk about our exciting Beer Music commissioning project! 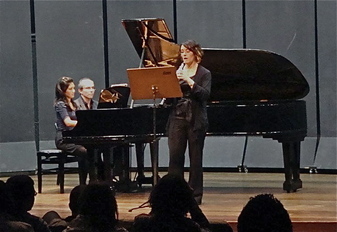 ​"The Midday" can be heard weekdays on the NPR News and Classical Network and on WPR's All Classical Network from 12 to 1 p.m.
Laura will present Introduction to the Alexander Technique for the School of Music Colloquium, followed by an oboe masterclass for the oboe studio. She will be available to students for private Alexander lessons the morning of Thurs. Feb. 4. 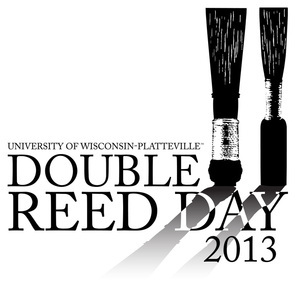 Have fun playing double reed ensemble music with us while getting back into shape before the new school year begins! 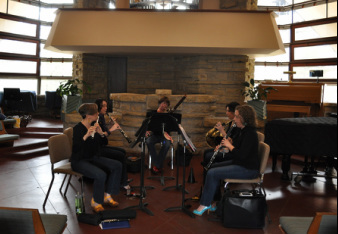 During this energy-filled, highly motivating camp, students of all ability and age levels will be challenged and inspired by our accomplished double reed staff. Visit the camp website for details. 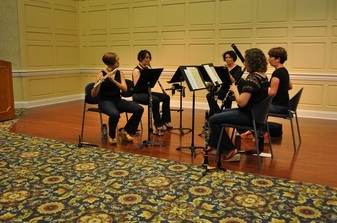 1st-ever Medisky Oboe Studio Senior Recital! scene programs, condensed versions of larger works, and fully staged productions. will be available for private AT lessons. Leonard Bernstein, Overture to "Candide"
Learn about American Folk Art in the Quilt and hear "The Quilt Effect" through the integration of American folk music in Ives. 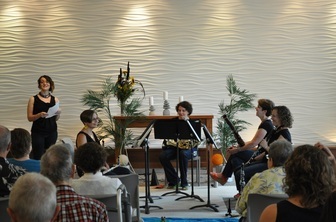 The prémiere recital program of my new woodwind quintet! Laura will once again serve on faculty at this international festival!